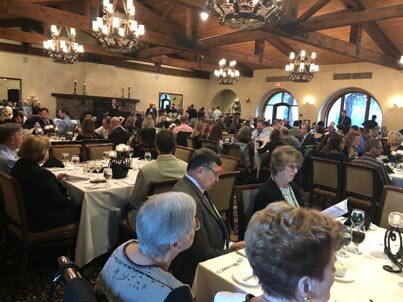 ACSA Gala attendees look on at the Catta Verdera Country Club. 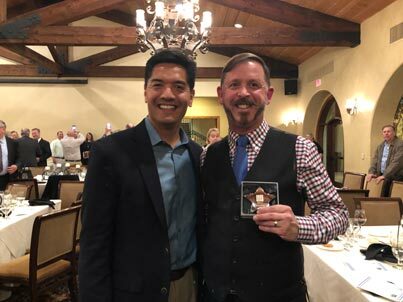 County Superintendent Dr. Ed Manansala and Indian Diggings School District Superintendent/Principal Grant Coffin. 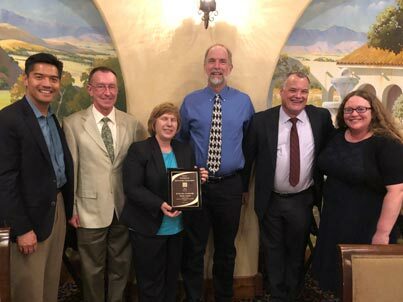 The Partners in Educational Excellence award was given to the EDCHC for their commitment and administration of the El Dorado County Dental Van. From left to right: County Superintendent Dr. Ed Manansala, EDCHC Dental Director Dr. Gene Gowdey, DDS, MA, EdD, EDCHC Dental Supervisor Tina Alhona, EDCOE Deputy Superintendent Kevin Monsma, Patrick Klein, Stefany Gower. ACSA is the largest umbrella organization for school leaders in the United States, serving more than 17,000 California educators. ACSA’s top priority is advocating for public school students in kindergarten through grade 12, as well as adult learners. Its mission is to be the driving force for an equitable, world-class education system, and the development and support of inspired educational leaders who meet the diverse needs of all California students. For more information about ACSA, Region 2.